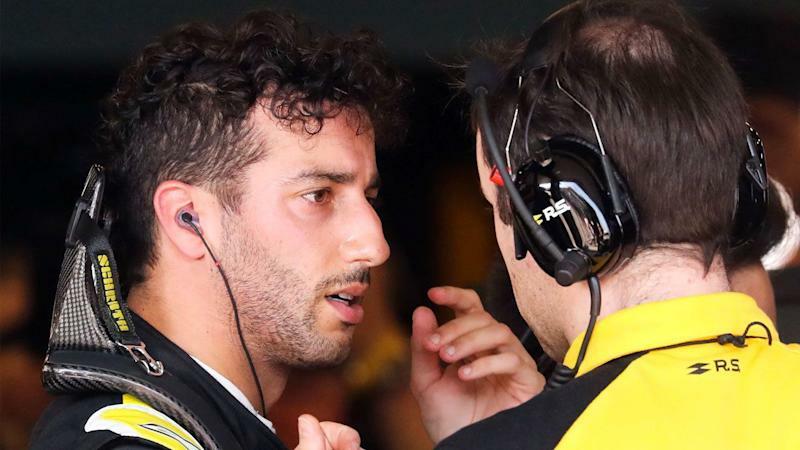 Renault boss Cyril Abiteboul says Daniel Ricciardo paid the price for his qualifying success with a 'miserable' Chinese Grand Prix – even if it resulted in the Australian's first points with his new team. Ricciardo qualified ahead of teammate Nico Hulkenberg for the second time in a row but reaching the final period on Saturday dictated his strategy for the race. The Aussie stopped just once, transitioning from a long opening stint on old soft tyres to a new set of hard rubber that took him through to the chequered flag. Wearing his hard tyres for 38 laps meant sacrificing pace for survival. Despite finishing seventh, his quickest lap of the race was faster than only four other drivers. "There's nothing to be proud of, but just in terms of pace it was better than it looked, because we were so much into the tyre management," Abiteboul told Autosport. Abiteboul described Ricciardo's race as a "solid performance", praising the Australian's "very good communication with the team". Tyre management came amid fresh concerns over the car's power unit. Two weeks after Ricciardo and Hulkenberg both retired from the Bahrain Grand Prix with engine issues, Hulkenberg was forced out in China after what was diagnosed as a software problem related to a recent change in hardware. Ricciardo was unaware he was the lone Renault out on track by the end of the race. “I normally never like to know if a teammmate retires. What can I do?" he said. Former world champion Nico Rosberg said it was crucial for Ricciardo to get one over Hulkenberg. “It was an important weekend for Daniel because in the first two races, Hulkenberg was really dominating him in the internal battle and now he’s back,” Rosberg told Sky Sports. Renault will regroup for the Azerbaijan Grand Prix in a fortnight.